Join Kathy Zebert's Mailing List! 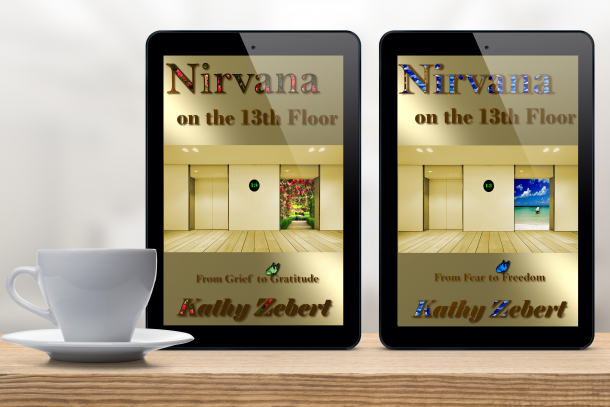 Enter your e-mail to join my VIP list and get your FREE copy of Nirvana on the 13th Floor! A romantic cowboy, a sunset kiss. Everything is perfect until he’s charged with murder. Callie Fletcher just wanted to sit on the terrace of her favorite hot spot and watch the sunset over the Texas Hill Country. A table for one, a glass of pinot and the best view in Austin. When Dominic Jaxson, a tall, handsome cowboy, charms her into sharing the view, the sunset gets just a little more magical. To her delight, Dom wants another evening with her. Soon. A few dozen sunsets later and Callie is enamored with the gallant rancher. And he with her. Their affection blooms into more and Callie dreams of a future together. Never does she imagine that the caring and tender man might hide a secret. Or that he might be a criminal. But then he walks through the doors of her courtroom and is charged with a crime. As a court reporter, Callie knows her way around the legal system. And she’s certain Dom isn’t a criminal. Can she uncover the clues to prove his innocence? Or have she and her handsome cowboy shared their last Texas sunset? 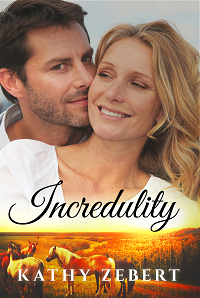 Incredulity is the first in a fast-paced, clean romance series with a little legal suspense thrown in for good measure. Download your copy of this page-turner today and find out why readers love the Romancing Justice series! 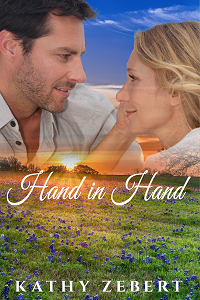 In this sequel to “Incredulity,” the budding romance between Callie Fletcher, a Texas court reporter and her very romantic cowboy, Dom, continues to flourish. The relationship, however, takes a hiatus as Callie accepts an undercover assignment from the FBI, requiring Callie to temporarily leave her Austin courtroom for a federal courtroom in San Juan, Puerto Rico. She risks everything to get to the truth of allegations of unspeakable corruption of a federal judge, lodged by his court reporter. Are the allegations true? Will the romance between Callie and Dom survive? Will Callie? Emily knows she’s being watched. Being locked away like a precious toy is all she knows, but when faded memories start to surface, she decides to take matters into her own hands and find the truth. Unfortunately, her husband tracks her every move… and she doesn’t know what, or who, to trust. Enter Callie and Dom. After recovering from a close call with a human trafficking ring, they step back in to help a new friend find his abducted daughter. But even if they find Emily, she may not let them help. 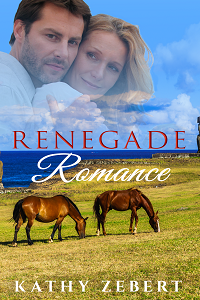 The search leads the couple to places they never expected— in both their mission and their romance. Can they work past the tension between them to bring Emily back home, or will distrust pull them all apart? Could an elevator ride to the 13th floor change your life? 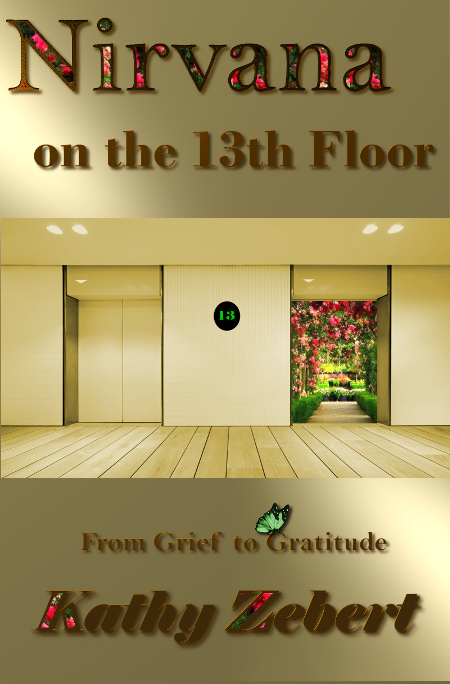 Follow a grief-stricken husband on an inspirational elevator ride at twilight. Nathan loses his wife on the day of their 30th anniversary, and after almost a year, he still hasn’t been able to find his way back to a life of joy. 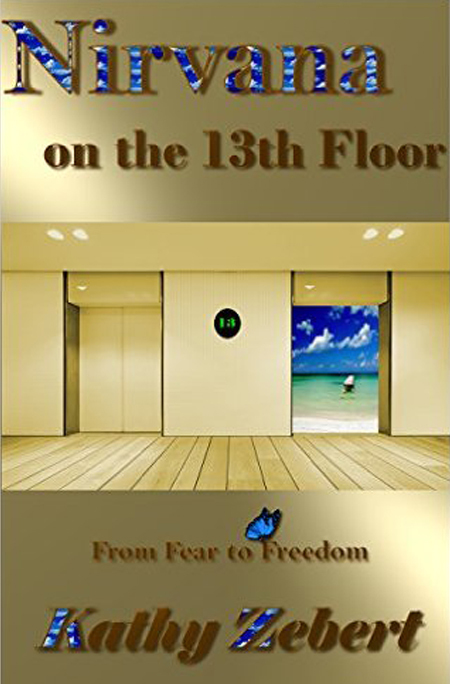 Find out what really happens on the 13th floor in the first installment of the short story series. When Chelsea discovers her husband has fallen into a life of drugs, she is forced to make a life-altering decision.Completely overwhelmed, she steps onto an elevator. When the doors open onto the magic of the 13th Floor, Chelsea finds something there that helps her more than she could ever imagine. Will she be able to keep her marriage together, or will she have to give up everything for the sake of her children? 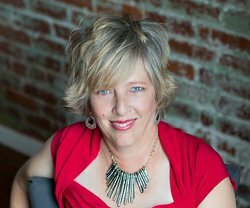 Kathy Zebert is a freelance court reporter, author, motivational speaker, currently residing in Chattanooga, TN. Her free spirit has moved her all over the South, so you never know where she’ll show up. Her interests are many, but with one common thread: to inspire others to find their happy place.